Vegas Crest Casino boasts a huge variety of over 360 video slots and Casino games, powered by software giants, BetSoft Gaming, Vista Gaming, Rival Gaming and Saucify. Play on PC, mobile or tablet. Top slot titles include, Frogged, Diamond Cherries and 4 Seasons. Fab slots and games site offering games based on classic pub fruit machines, including King of Slots and Golden Goddess. Games powered by AlchemyBet software. Fast payouts and deposit by phone bill option. Take a journey through magical worlds with Spin, earn bonuses and prizes on your way. Absolutely stunning slots and games website. Grab 100 free spins and a 200% bonus. The word proprietary means 'privately owned and run', but why should this be of any concern to our lovely players? It's quite simple – you've got to find a site that you like, and not all software is the same, so a fair amount of trial and error is required. Firstly, you must understand the difference between a networked site, (proprietary) and stand-alone site. 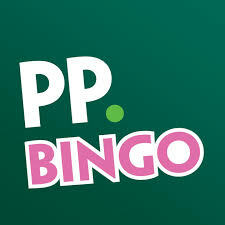 Some sites use the same software which means you end up playing bingo with other players from other sites. This is known as a bingo network. Some sites have stand-alone software, which has been designed specifically for them - this is proprietary software. The vast majority of sites share their software and network, such as 888 Holdings, who power the DragonFish network, and Virtue Fusion. Playing at a networked site usually means bigger jackpots, with more players depositing amd buying cards. However, gameplay can feel dull and boring, and that's not what bingo is about. Stand-alone software has been designed exclusively for a specific company, by a team of developers. Usually, this software will only power one site, and sometimes two, but playing at a proprietary site also has its own set of pros and cons. On the upshot, it's very refreshing to play at a site with proprietary software – it's unique, and refreshing, to say the least. Also, proprietary software will be tailored to the end user's demographic, so you get a more customised experience. On the downside, some bespoke software can be dreadful; tacky, and badly-designed. And a lack of players can result in low ticket sales, and low jackpots. So, keep on fishing round until you find the perfect site for your needs. There are plenty of free play bonuses available so you can sample the software delights at no risk to your own pocket.